Get off at Maihama Station on JR (Japan Railway) Keiyo Line / Musashino Line. Maihama Station is about 15 minutes by train from Tokyo Station. 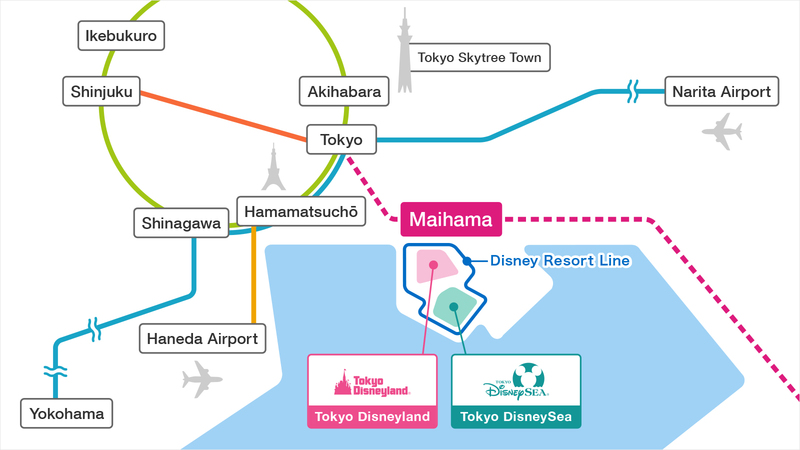 Shuttle bus service from various locations to Tokyo Disneyland also available.